Mint in box, MIB. 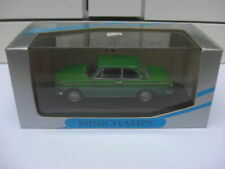 BMW 1600-2 sedan, light green, 1:43 scale. //////////////////////////////////////////////////////////////////////////////////////////////////. ////////////////////////////////////////////////////////////////////////////////////////. BERNARD BEGUIN - JEAN-JACQUE S LENNE. CALCA - DECAL -DECALCOMANIA - DECALQUE - ABZIEHBILD - DECALQUE. NUR verkauft die DECAL. 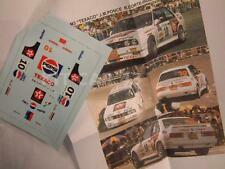 32 TOURDE CORSE - RALLYE DE FRANCE 1988. ÉTATDE LA BOITE :A (boite de la version SILVER). NEUF EN BOITE. COTATION : A = état neuf. C = état moyen. B =bon état. MARC DUEZ - ALAIN LOPES. CALCA - DECAL -DECALCOMANIA - DECALQUE - ABZIEHBILD - DECALQUE. NUR verkauft die DECAL. Rennen /Race :24h Nürburgring 2003. Typ /Type :BMW (E46) M3 GTR #42. Maßstab /Scale :1:43. Mint in box, MIB. BMW 1800 TI SA berline 1965, silver, 1:43 scale. //////////////////////////////////////////////////////////////////////////////////////////////////. ////////////////////////////////////////////////////////////////////////////////////////. CALCA / DECAL / DECALQUE / DECALCOMANIA / ABZIEHBILD. 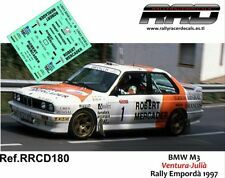 BMW M3 J.J. Cabello Alcañiz 1993. VENDE SOLO LA DECALCOMANIA! No.43, DTM 1991. Tipo: M3 E30. Factura con IVA. Artículos bien protegidos y embalados. Sus ventajas. tarjeta de crédito. Limited Edition 504 pcs. Escala: 1:18. José María Ponce. Car is not included. Only the decal. 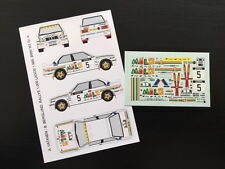 1.43 Scale Decals BMW M3. Calcas para hacer tu pr ópia transformaci ón. BMW e30 M3 Sport Evolution 1989 Modellauto WB245 Whitebox 1:43. BMW e91 3er touring azul coche en miniatura 30220 Bburago 1:43EUR 6,99. BMW e92 3er cupe 335i azul coche en miniatura 30137 Bburago 1/43EUR 6,99. Colore - Color: Nero - Black. Note - Note Conditionof the item: Used. Model in good condition, never exposed. CALCA - DECAL -DECALCOMANIA - DECALQUE - ABZIEHBILD - DECALQUE. NUR verkauft die DECAL. PREMIO CIUDAD DE ALCAÑIZ 1993.